The Association of Catalan Language Writers (AELC, Associació d'Escriptors en Llengua Catalana) was created on the 27th of October 1977. If we were to give a brief history of the association, we'd state that under Franco's dictatorship writers in the Catalan language were never able to form a legally constituted professional organization that could oversee the rights of writers and their professional interests, and which could diffuse literature in Catalan within Catalan territory as well as beyond its borders. All attempts to create such an organization were prohibited by Franco's government which was intent on eliminating the Catalan language and the culture that derived from it. Writers in Catalan participated in all of the vindicatory movements of our country without obtaining the level of coordination necessary that would have permitted them to create a professional association such as the one that existed at the time of the Generalitat of Catalonia during the Spanish Republic of 1931 to 1938. The first organization of the sector that was born during the dictatorship was the Centre Català del PEN Club. It operated in exile after 1938 and was reorganized within Catalonia in 1973. The administrative difficulties of the moment forced this organization to lead a clandestine existence and it wasn't until after the death of Franco that it could act publicly. When the Conference of Catalan Culture (in 1975) was convoked, collective reflection was called for concerning the state of our culture and its future in reference to the origins of the democratization process of the state and the autonomous processes. Writers in the Catalan language participated in this conference under the heading of 'Literary Production'. 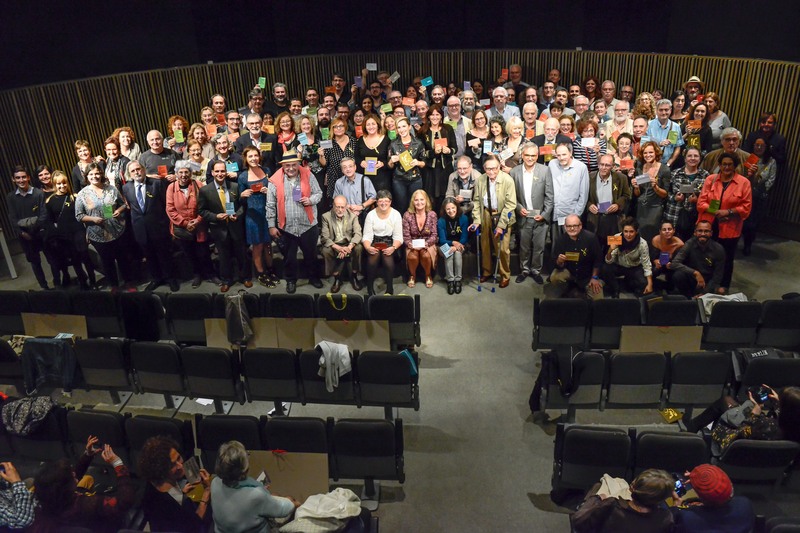 In this group's conclusions at the conference, which took place in Mallorca, the writers proposed the creation of a professional association of writers in the Catalan language. This association would at the same time be an organization that oversaw the professional rights of writers (a writer's union), as well as a vehicle for cultural promotion. The association would become the single unified organ of writers in the Catalan language through which a dialogue would have to be established with the future autonomous authorities of our country. The association thus came into being on the 27th of October, 1977, with the participation of more than 100 writers from all of the Catalan speaking territories, that is to say, Catalonia, the Valencian area, the Balearic Islands, and as well with the written participation of another 100 writers who could not personally attend the ceremony. From 1977 to 1988, the AELC developed the representative functions of the literary vitality of the Catalan countries with the desire to articulate a program that would be an instrument of dialogue and relation with the new political powers that constituted what was known as the Spanish democratic transition. One of the primary objectives was to re-vitalize the idea of the Institute of Catalan Letters, an institution that had been active during the 1930's until the end of the Spanish Civil War. The AELC proposed the creation of an infrastructure that recognized the aspirations of its associates and defended their interests. In 1988 the autonomous government of the Generalitat of Catalonia decreed to finally restore the ILC. Since then the AELC has centered its activities primarily on aspects of the writer's union and its claims, while leaving questions of representation to the ILC.